If you haven’t already entered the all natural, all USA raised and made dog treat giveaway, do it now! Deadline is tonight! 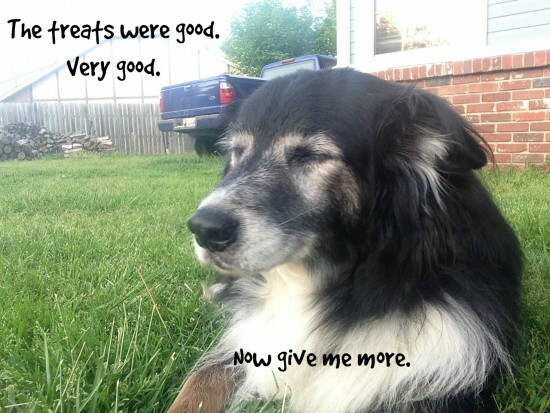 Treats were good. Very good. Now give me more. Jones Natural Chews makes the best treats. Y’all know this. They’re 100% all natural, with very few ingredients, and 100% grown and made in the USA. Does that mean you can give your dog as many treats as it wants? Is there such a thing as too many treats? Where’s My Treat?! Jorge is so demanding. I gave him a treat. How could I not? Hmm. 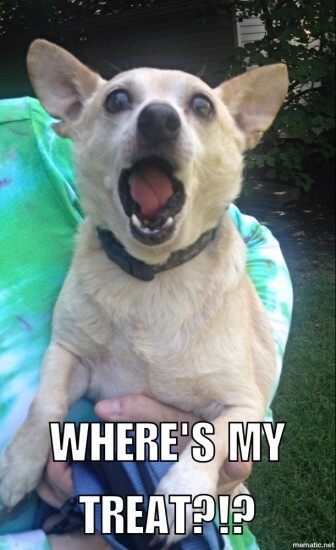 My dogs ask this question all the time. Where’s my treat? Why can’t I have as many treats as I want? They’re good for me! They’re just meat! Yummy meat! Poor Chewy. He just wants treats. He just wants Jones Natural Chews. Is that too much to ask? What’s going to happen if a three year old eats as many fresh oranges as she wants all day long? They’ll run right through her. Burning on the way out. And if her diet consists of only oranges, her nutritional balance will be thrown off, eventually causing her to be ill.
Baran knows that Jones Natural Chews are the best treats. He wants them. He wants them all. 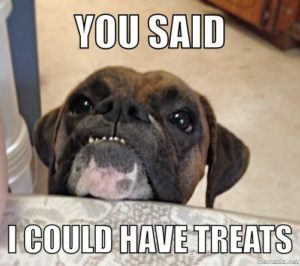 Even a hefty Boxer pup would get sick if he ate too many treats. I think it might take longer for a dog eating only meat treats to be sick, but it would happen, especially if it’s fattier treats, like an ear or skin. 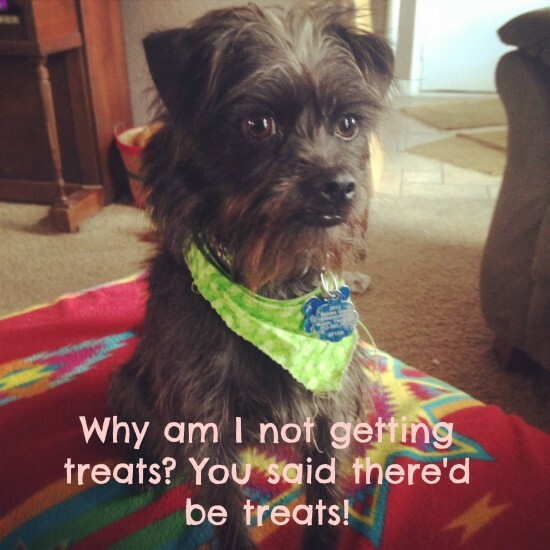 Treats are made for snacking, not as meal replacements. I write about this regularly, don’t I? That’s because I still come across people who just don’t know any better. That’s not a condemnation of anyone. You don’t know what you don’t know. I’d rather you read this information in the peace and quiet of your home than have someone wag their finger in your face and make you feel shame about what you feed your dog. Dogs, like children, don’t come with instruction manuals. So here are some treat guidelines, loosely set, for new dog owners, or those who have just never known. Too many treats? You betcha. Will your dog want more treats than you’re willing to give it? You betcha! Don’t give in. Your dog will be very happy to get the smaller amount. If you feel really bad about not giving your dog more treats, just break them into tinier pieces. Dogs honestly don’t care about the size of the treat so long as they’re getting them. Now go give your dog a Jones Natural Chew and watch it smile! Naturally. And enter the Venison Entree Sausage giveaway if you haven’t already. And don’t give your dog too many treats. I’ll see y’all Monday!